“How can I get attorney fees in a lawsuit?” This is a question we often hear from clients. Different Georgia laws govern the recovery of attorney fees in a lawsuit. If the actions of the defendant prior to the litigation were done in bad faith and would be considered “stubbornly litigious,” then fees may be assessed pursuant to OCGA 13-6-11. If during the course of the litigation, the attorneys expanded the litigation beyond reasonable or pursued claims or defenses that had no justiciable issues of law or fact, then a party may recover fees associated with that conduct under OCGA 9-15-14. And, if a party incurs damages as a result of a lawsuit that are beyond attorney fees, they may have an entirely different and separate cause of action pursuant to OCGA 51-7-80. Finally, after the trial, sanctions can be awarded for frivolous appeals. As with any of these statutes, the party must prove the attorney fees that were actually incurred, the actions the opposing party did to incur such fees, and whether the fees were reasonable and necessary. Merely prevailing at summary judgment does not automatically merit an award of attorney’s fees. Chong v Reebaa Construction, Inc. 284 Ga. App. 830 (2007). Likewise prevailing in an entire case also does not garner an automatic award of attorney fees either. Glynn Brunsick Mem’l Hosp. Autho. V. Gibbons, 243 Ga. App. 341 (2000). If there is at least an arguable support for the position taken, then an award of fees should not be justified. So long as there is some evidence from which a jury could find for the plaintiff a defense verdict does not warrant imposition of fees. Rental Equip Group LLC v. MACI LLC 263 Ga. App. 155 (2003). 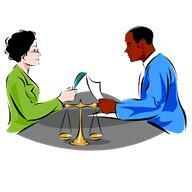 An award of attorneys fees is not justified where there is arguable legal support for the position taken. Nevertheless, under OCGA 9-15-14(a), attorney fees are mandatory where a party has asserted a position where there is a complete absence of any justiciable issue of law or fact that it could not have been reasonably believed that a court would have accepted the position. Cavin v. Brown 246 Ga. App. 40 (2000). Additionally, under 9-15-14(b), a permissive award of attorney fees and litigation expenses is available if: i. the action brought lacked substantial justification (is substantially frivolous, groundless or vexatious), ii. the action was brought for delay or harassment, or iii. the party or attorney unnecessarily expanded the proceedings by discovery abuse or otherwise. In order to prevent the chilling of actions that prevent stagnation of law, section c provides that no attorney or party shall be assessed attorney fees in a “good faith attempt to establish a new theory of law in Georgia if such new theory of law is based on some recognized precedential or persuasive authority” which might include dissents, federal cases, cases from other states, and positions taken in law reviews or other legal writings. To learn more information, contact Williams Oinonen LLC at 404-654-0288.